Black locust (Robinia pseudoacacia) has been widely planted in the Chinese Loess Plateau for soil and water conservation as an important forest species. This study examined variations in topsoil organic C (OC), total N and P (TN and TP), available N, P and K (AN, AP and AK), and soil microbial biomass C, N and P (SMBC, SMBN and SMBP) contents and the activity of urease (URE), α-amylase (ALA), alkaline phosphatase (ALP), catalase (CAT), saccharase (SAC), polyphenol oxidase (PPO) and cellulase (CEL) in loessial soil of black locust with an age sequence of 5, 10 15, 20, 25, 30, 40 and 50 years in Zhifanggou watershed (8.27 km2), Shaanxi Province, Northwest China. Also cultivated fields and 80-year Chinese arborvitae (Platycladus orientalis) were selected for the comparison. The results showed that soil chemical properties, microbial biomasses and soil enzyme activities varied with the restoration age. After 50-year growth of black locust, OC, TN, AN, TP, AK, SMBC, SMBN, SMBP, URE, ALP, SAC and CEL in soil increased by 262, 193, 345, 22, 36, 210, 136, 85, 90, 108, 288 and 36%, respectively, while PPO decreased by 31%. 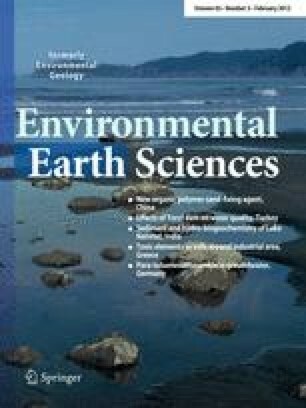 Soil chemical properties of TN and soil microbial biomass of SMBC were linearly correlated with soil enzymes of URE, ALP and SAC. Moreover, nitrogen fixation of black locusts was not evident before it became mature, but more evident after it reached maturity. The results confirmed that black locusts have long-term benefits on the improvement of soil properties as exotic species on the Loess Plateau for the soil properties under black locusts were greatly improved compared to cultivated fields. This work was supported by the 973 project: Assessment of impact on soil erosion and its indicators (2007CB407205), and the National Sciences Foundation of China Project (No. 40801094). The authors thank the members of the Ansai Research Station of Soil and Water Conservation, Chinese Academy of Sciences for technical assistance.